A client of mine who is going through a transition repeated this Anaïs Nin quote the other day. It becomes so true of those of us who spend too much time avoiding risk. 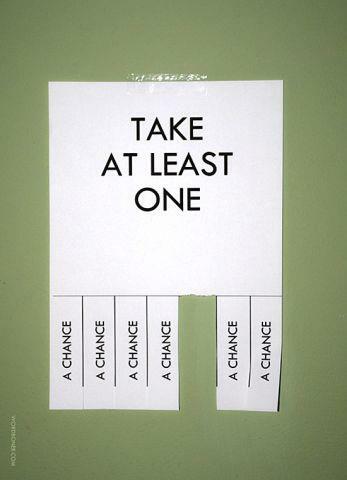 Take a chance, what’s the worst that can happen? This is a lot of fun! Click on the link and press the button to make everything OK! Every week, sometimes every day, someone writes to me asking for advice about the career they should take. I can’t, unfortunately, respond to them all, so I thought I should try to formulate some general guidelines, which I hope people will be able to adapt to their own circumstances. This advice applies only to those who have a genuine choice of careers, which means, regrettably, that it does not apply to the majority of the world’s workforce. But if the people writing to me did not have choice, they wouldn’t be asking. via George Monbiot – Career advice. We’ve known for a while that excessive screen time is not good for your sleep schedule, but the latest findings are overwhelmingly gloomy – and extend well beyond insomnia.